From "Think Different" to thinking globally, MAL\FOR GOOD's executive director for innovation and content is a team player. Jennifer Golub spent several years at Y&R in New York, working on accounts like Tang and KFC—even a Jello ad with Bill Cosby. But she didn’t find it rewarding, and in the late ‘80s, she packed up for Los Angeles and Chiat\Day. There she worked with Lee Clow, whom she credits with the opportunities that opened up the rest of her career. In addition to the Apple ads that came out of that office, Golub also worked on brands like Energizer, Nissan and California Coolers. In 2000, she moved up to San Francisco to head broadcast and digital production, staying on as Chuck McBride steered the office through its transition to Cutwater. 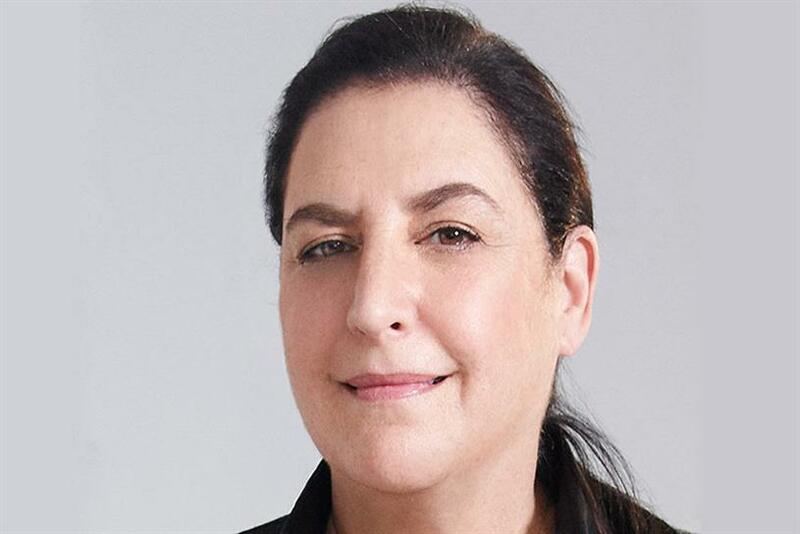 When TBWA launched Let There Be Dragons, a content studio that operated out of a refurbished bus, Golub served as executive director of content. In 2014, the network created its social impact agency, MAL\FOR GOOD, and Golub joined as director of content and innovation. "This business is an ecosystem, an alchemy of product, talent, trust, art, virtue, respect, love and determination," she says. "I have had the great fortune to work with giants who put their souls on the line. Luminous writers, persistent art directors, steadfast account people and visionary clients, compounded by massive directorial talent, DP’s, production designers, editors, colorists. It is a true team sport." Here are the 5 executions Golub says define her career. In 1997, Steve Jobs returned to Apple, which was limping along with 3 percent market share. But Chiat\Day had won back the account in a review, and the now-famous "Think Different" campaign was making its way from script to screen. "Lee [Clow] led me to the edit bay where there was a formative rip against Seal’s track ‘Crazy,’" Golub recalls. "This was my wheelhouse, and I went toe-to-toe with the client. I gave them my list of who warranted to be honored in this tribute and the matrix supporting my reasoning." They approved what she asked for. Golub slept in the edit bay for three weeks working on "Think Different," relying on researcher Susan Nickerson to discover new or unfamiliar footage of the "crazy ones" featured in the spot. "Lee’s master stroke was placing Henson and Kermit on the word ‘Genius,’" Golub says. After the campaign debuted, she retreated to New York with her 18-month-old daughter to recover for a bit. "The city was graced with giant wall murals of Gandhi, Dylan, Martin Luther King, Picasso and Einstein," she says. "On Houston Street, there was John and Yoko peering up from that white bed. We looked up at that enormous, glorious image and I said, ‘Mommy did that.’"
Spike Jonze—by now a legendary director—was behind the camera on this spot. In addition to the intense visual effects, Golub was trying to include a Levi’s t-shirt in the spot as well, at the behest of the client. "We tried in earnest. We beat up those shirts, washed them, cut them, tore them, turned them inside out," she says. But Jonze was adamant that the actor needed to be wearing a simple white tank top—a stark contrast to the movement of the jeans and the color of the city. "Spike’s conviction was the tipping point, on the basis that we could only sell one product," Golub says. He was proved right when the spot went on the win a Lion at Cannes and place in the top 10 during the Super Bowl. "My learning was this: When fortunate enough to work with this level of talent, take a step back and support them to do their best work." Ray-Ban was looking for a way to stretch its media dollars, so a traditional campaign wasn’t in the cards. Instead, Cutwater took a chance on an emerging online phenomenon—YouTube. "After way too many drinks, we convinced marketing director Erika Ferszt to invest $75,000 in five ‘viral films’ hoping one might stick," Golub says. But one video, shot by Benzo Theodore and Steve Hanft, actually did go viral, racking up nearly than 3 million hits in its first week. Viewers still argue about exactly how the stunts were filmed. Backwards? Editing in post? It taught Golub "the power in inviting artists to collaborate and invent," she says. "The spirit of joy and pride of ownership sparks an immeasurable X factor." For two years, Golub curated a global art collection for Luxottica’s luxury brand, an idea sparked by conversations at Art Basel. "This was an awakening for me as my first foray with true multi-disciplinary, evergreen branded content," she says. "I wasn’t making spots but documentaries, web content, print, events and installations." Many of the featured artists went on to have successful careers, including Hardy, Jonathan Jones, Claire Healy, Sean Cordiero, Seher Shah, Thukral & Tagra, Elliot Hundley, Amanda Ross Ho, Modou Dieng and Xing Danwen. "I only hope that the collection is intact," Golub adds. Harrison Ford’s turn as the voice of the ocean won a Gold Lion, but Golub felt something was still missing from the campaign. "Having been part of legendary campaigns, I ached with the absence of a manifesto, an all encompassing rallying cry," she says. While searching the archives, she found an old print ad by Clow himself called "Humanifesto," and "Mother Nature" was born. "This campaign brilliantly recycles existing footage—as a conservation campaign should," Golub notes. "When Julia Roberts read the script, she clinched it, and I burst into tears with relief."